Join our 6 weeks mindfulness discussion group and yoga class. Each week, you'll join a small group to freely discuss mental health and wellness as women of color. After an hour of discussion, you'lll be led through a yoga flow by yogi, Davia Roberts (200hr RYT). Each flow will incorporate poses that address concerns presented in the group discussion. Between group meetings, members will be provided with journal prompts and readings to improve their overall wellness. Our goal is to create a safe space for women of color to discuss mental wellness and day to day challenges without judgment or the need to justify our experiences. Click here for more info. 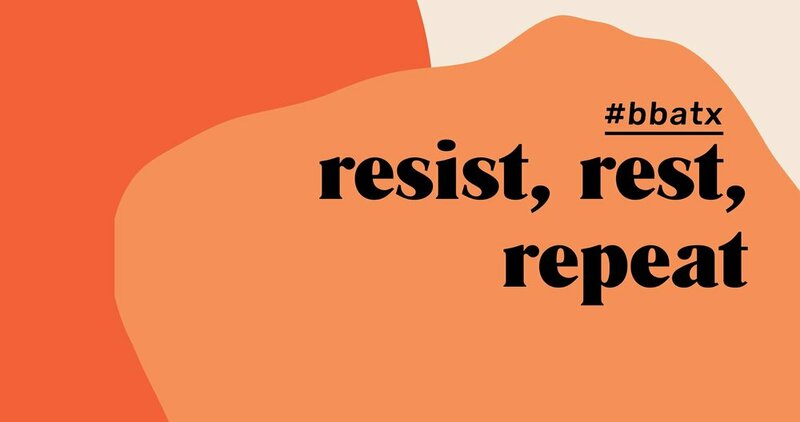 Join Redefine Enough on Saturday, December 30th at Focus Counseling and experience healing through meditation, yoga, affirmation practices, and sisterhood. 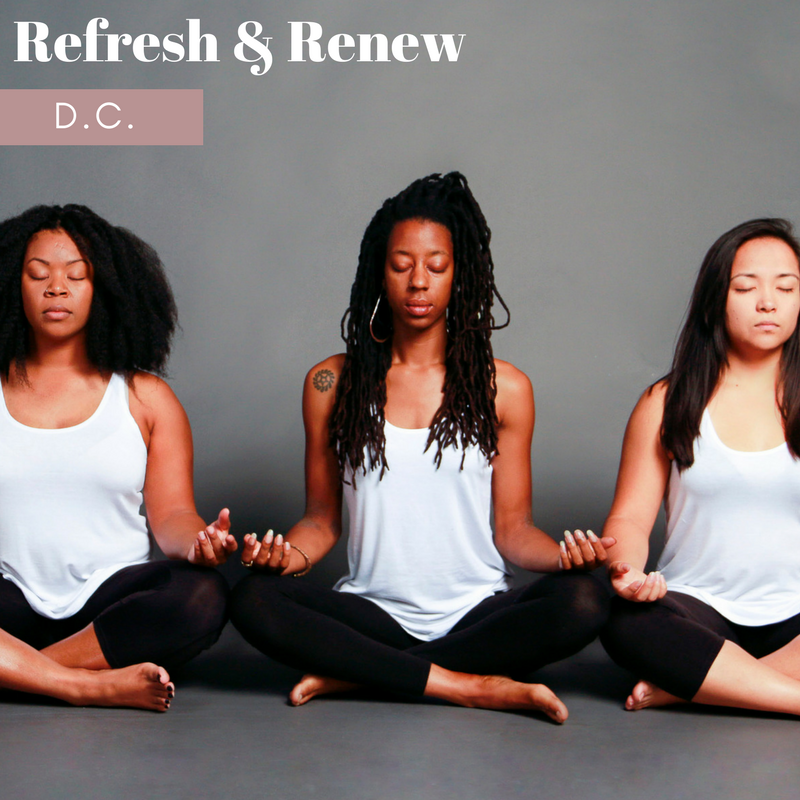 The Refresh & Renew mini retreat is intended for women of color to connect through healing practices that acknowledge and honor the intersections of our identities and experiences. 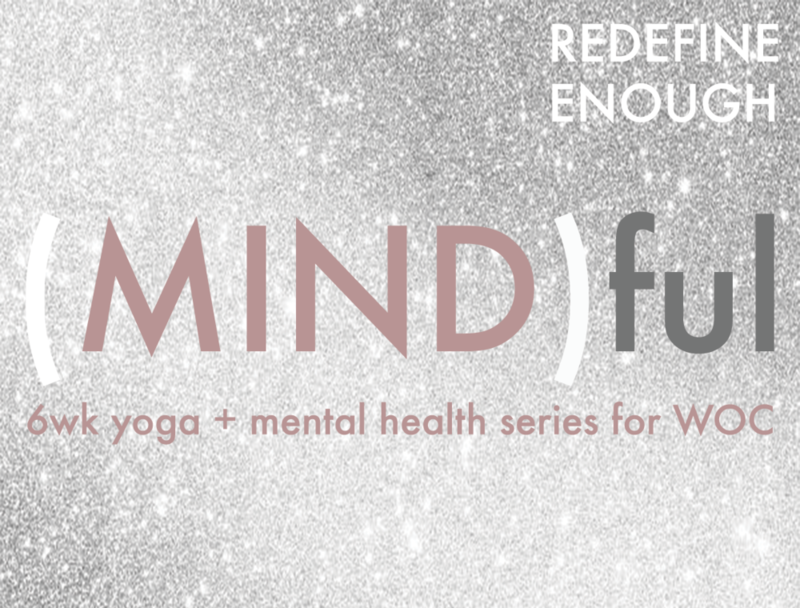 Join Redefine Enough on Friday, December 1st at Yoga Heights D.C. and experience healing through meditation, yoga, affirmation practices, and sisterhood. Redefine Enough will be a vendor at this event hosted by BossBabesATX. Come chat and learn about upcoming events. As the year is quickly coming to an end, it is easy to forget ourselves. To prioritize self-care, we need access to time, resources and a community that nurtures. So, we're bringing back a smaller version of our retired retreats, a special meet-up for you, featuring wellness vendors, self-care storytelling and DIY activities. Whether you choose to color, meditate or buy ~something special~ for yourself — come out and connect or disconnect. Tickets are $5 to cover event production costs (and do not cover fees from vendors with products/services for purchase). The event will run from 1 to 4 PM on November 18, 2017 at Space 24 Twenty.